The Teutonic Knights protected this area between 1211 and 1225 from the invasion of the Cumans, a Turkic migratory tribe. 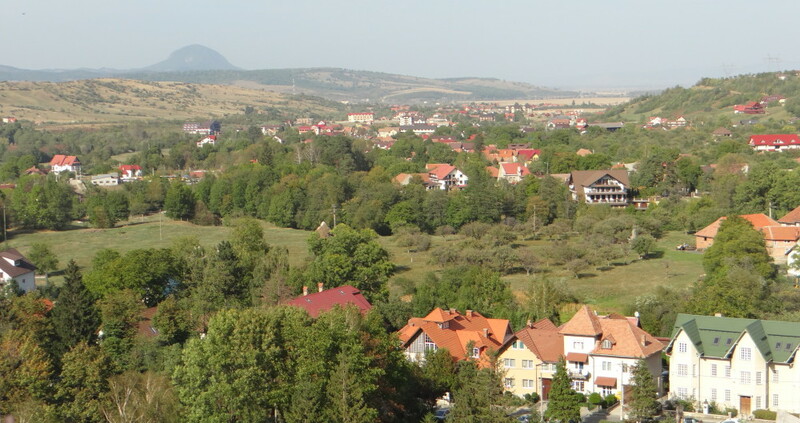 South of Brasov is the Prahova Valley where I was born and raised decades ago, a land rich in oil with fields of corn and wheat stretching as far as the eye can see. 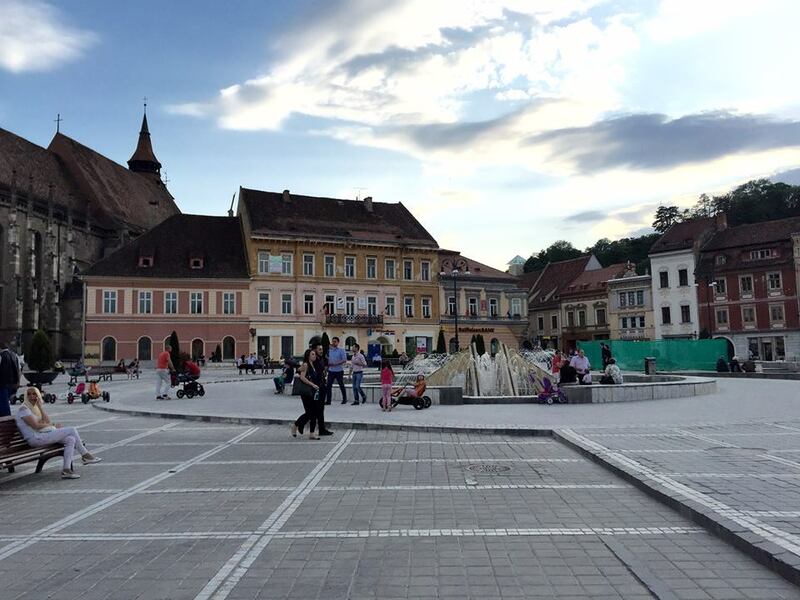 Despite its heavy industrialization during the communist regime, Brasov kept its medieval character and fresh air. Workers were crushed here in 1987 during a revolt against Ceausescu’s tyrannical regime. Many were arrested and taken to infamous prisons around the country to serve as model for those who would dare again to oppose the dear leader. The pedestrian walkway from the downtown center to the Black Church is dotted with cozy cafes and restaurants offering local cuisine, street food, Strudel, pizza, and gelato. 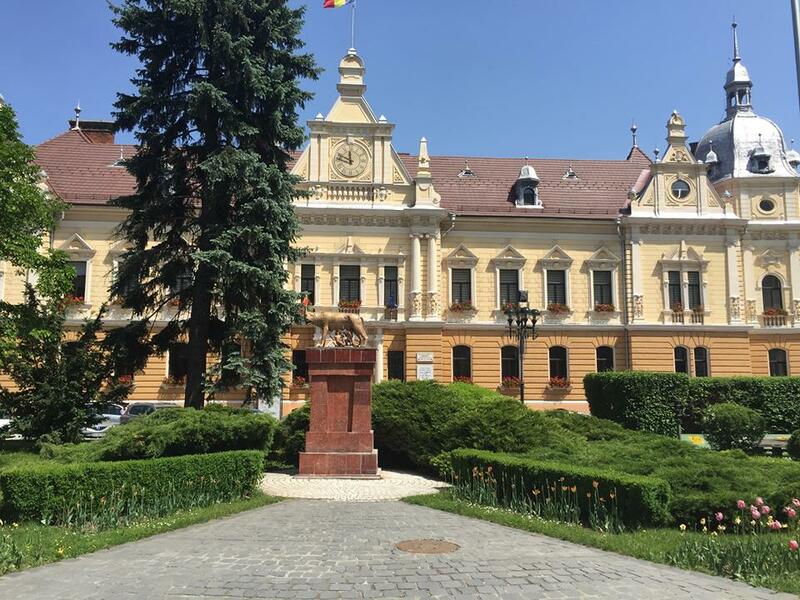 The cobble-stoned Council Square is very close to the History Museum which holds among its collections the first known document written in Romanian in 1521; the Black Church and the Ethnography Museum, with displays like a walk through a medieval market, are flanking the square. The famous “Cerbul Carpatin” (Carpathian Stag) restaurant serves delicious Romanian cuisine both indoors and outdoors. Folkloric groups entertain guests with their Romanian music and famous vocalists soothe the hearts of those longing for lost loves. Hunting trophies complement the décor, typical country art with handmade furniture, stained glass, and peasant table cloths. 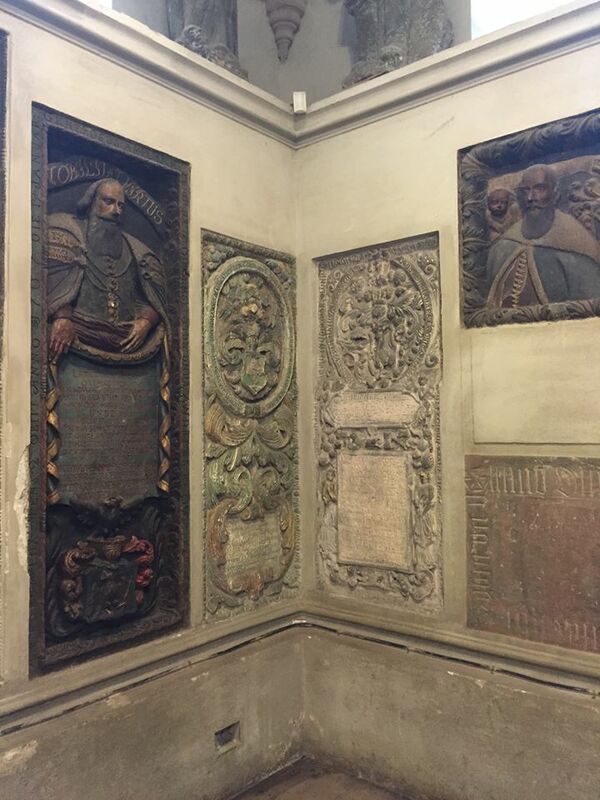 Famous citizens of Brasov (Kronstadt) were originally buried in the Black Church and their sarcophagi with intricate tombstones are seen in the walls. 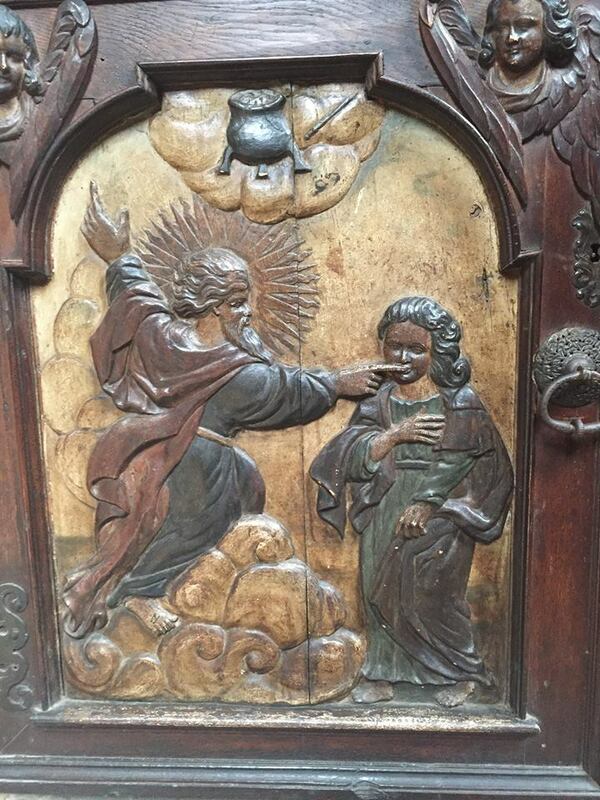 The practice was stopped centuries ago for sanitary reasons. The local rich who could afford such a burial in the church walls are now entombed in the cemetery across town. The pews are beautifully carved indicating which guilds owned them. There are over 100 Anatolian rugs gifted by Saxon merchants who bought them from Turkish soldiers. The blue organ is used three times a week since there are worries that the heavy sounds vibrate the walls too much, further deteriorating the precious building. 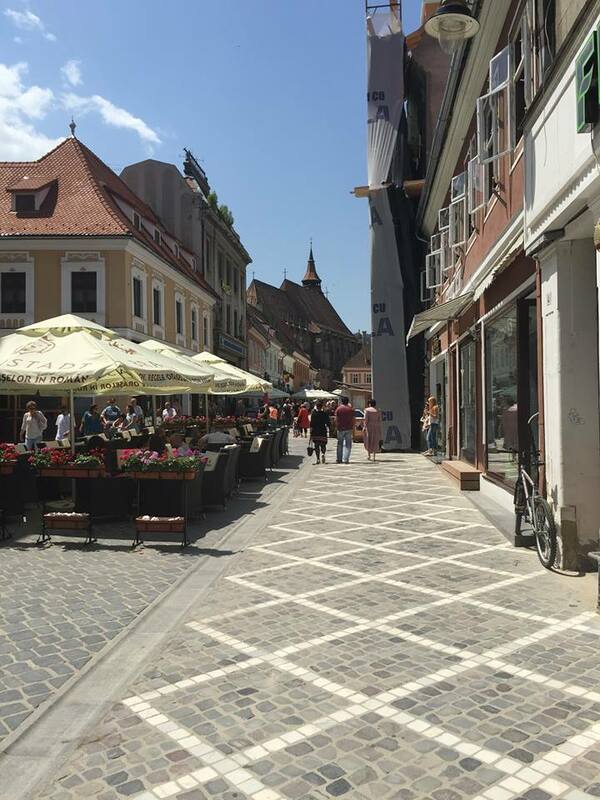 On my way to the quaint square where the First Romanian School is located, I came upon Strada Sforii (Rope Street), 3.6-4.4 feet in width, advertised to be the narrowest street in Europe. The First Romanian School is located on the grounds of a 16th century church, Sf. Nicolae (St. Nicholas), past the Schei Gate. The school was attended by one pupil per village as space was limited. This pupil was supposed to go back to his village and disseminate to others what he had learned. 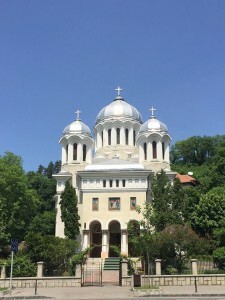 According to the energetic caretaker and guide, Vasile Oltean, the school was established in the 14th century but the building itself was not erected until 1495. Vasile Oltean was himself a former pupil and teacher at the school. The school was still used in the 20th century, closing in 1941. When I walked in, a jocular and animated guide was giving a lecture in the classroom to a group of Italian tourists. 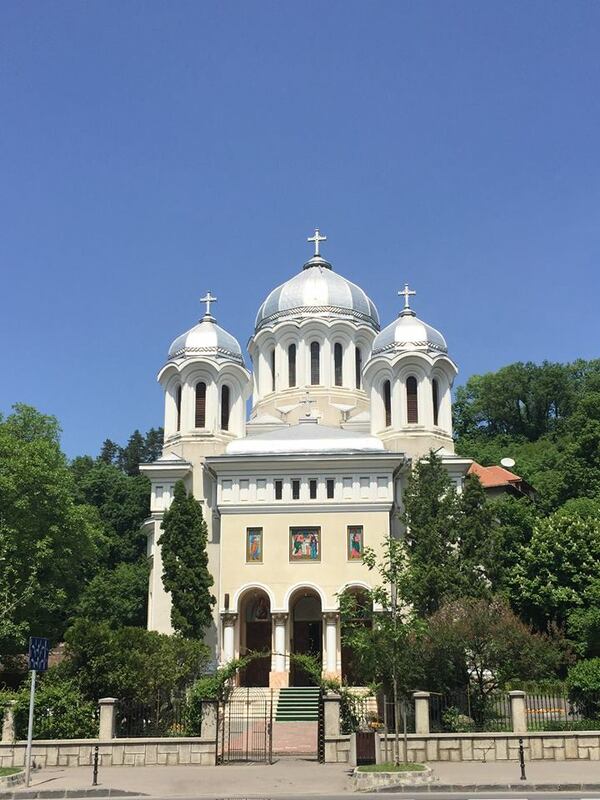 The first Romanian Bible was printed here and Deacon Coresi’s printing press on display in the museum managed to publish only 35 titles but in hundreds of copies. 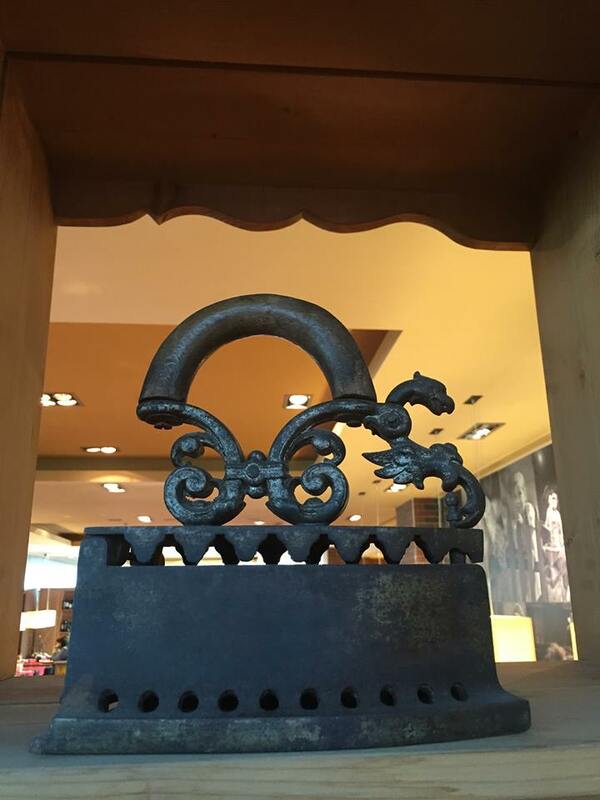 It was so labor-intensive, 10-20 apprentices toiled to hand-sculpt each page through a process called xilo-engraving. It was a labor of love because they helped promote the linguistic unity of the people. The wooden press printed the first Romanian letter in Latin, the first Romanian grammar textbook and the first Bible printed on goatskin, with a cover weighing seven kilograms. 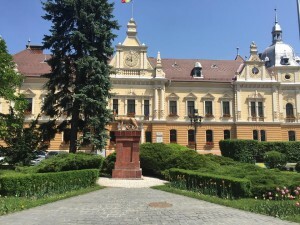 The plaque above the school entrance described the school as the first Romanian School of Greater Romania, rebuilt in stone 1595-1597 with a gift from Prince Aron of Moldavia under the care of Archpriest Mihai, and rebuilt in 1761. The center of education for hundreds of years, it enlightened children and adults alike. After the primary schools and Orthodox high school of Brasov were built, the building served as a meeting place for the parish council and later housed the historic archives of St. Nicholas Church. The tiny school building to the left of the church was not very imposing, but, as a life-long teacher, it made an indelible impression on me on that rainy spring day. The one location that attracts the most visitors about 10 miles past the Rasnov Citadel built by Teutonic knights in 1215 and past the National Park Piatra Craiului with its 7,000 foot peak, is the village of Bran with its famous Bran Castle. 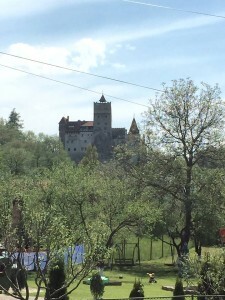 Bran’s Castle is known to westerners as Dracula’s Castle even though Voivode Vlad Tepes III’s connection to this castle was rather vague. He briefly captured the castle during a period in 1459 when he was arguing with the town’s merchants. 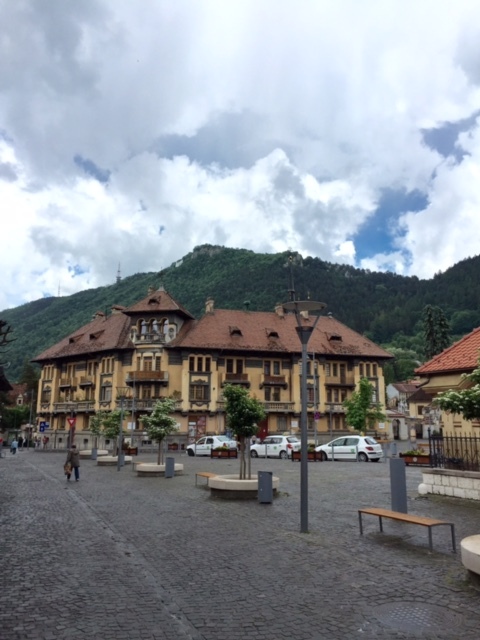 The adjacent Village Museum is an outdoor vivid lesson about the history and culture surrounding the castle and Brasov. 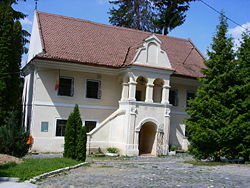 This museum is located on the border between Transylvania and Wallachia (Muntenia). Looking up from the verdant yard below, the sheer walls of the castle with its ominous aura of impenetrable solid rock appearance, one can understand why Bran was a perfect location for a frontier garrison and customs post, documented as early as 1377. The castle, which is located on a crag and appears impossible to destroy, is actually crumbling under its own weight. Engineers discovered in 1989 that the rocky cliff is crumbling. During the engineering exploratory digs, medieval wall frescoes have been found. Seven bastions and fragments of protective walls built by the Saxons in 1395 are still preserved today in Brasov. The circular bastion of the Weavers is the best preserved, built by the weaver’s guild in the 16th century. Life was organized around trade unions called guilds in medieval times. They kept their paperwork in beautifully carved wooden trunks. A sixteenth century fortress named Cetatea still stands today. A steep climb through a wooded area of Brasov or a leisurely drive rewards the visitor with a breathtaking view of the downtown center of Brasov, the pearl of Transylvania. 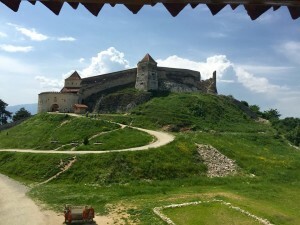 This entry was posted in History and tagged Black Church, Bran, Brasov, Cetatea Brasov, Cetatea Rasnov, Citadel, Ethnography Museum, First Romanian School, Rasnov, Rope Street, Tampa Peak, tombs, Vlad Tepes by Admin. Bookmark the permalink.